A complete step by step tutorial on How to Create a New View in ASP.NET MVC. Hello friends, I hope you all are doing great. 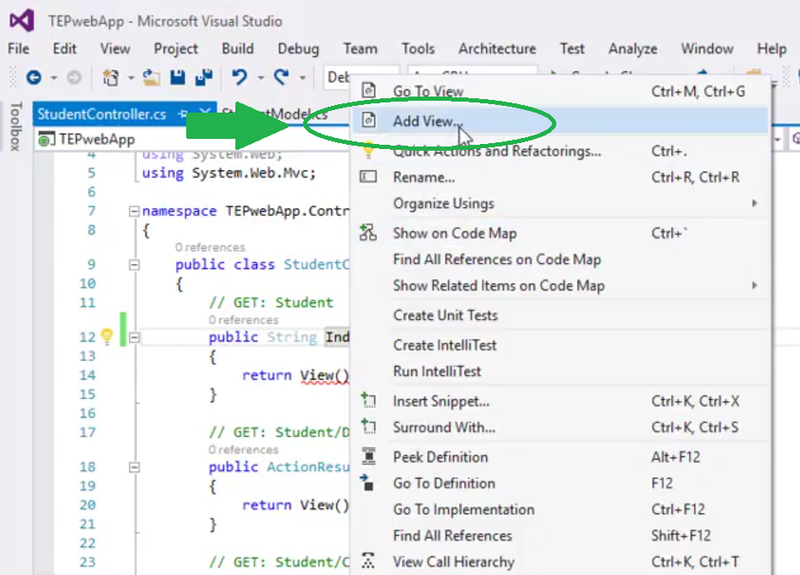 In today’s tutorial, we are gonna have a look at How to Create a New View in ASP.NET MVC. 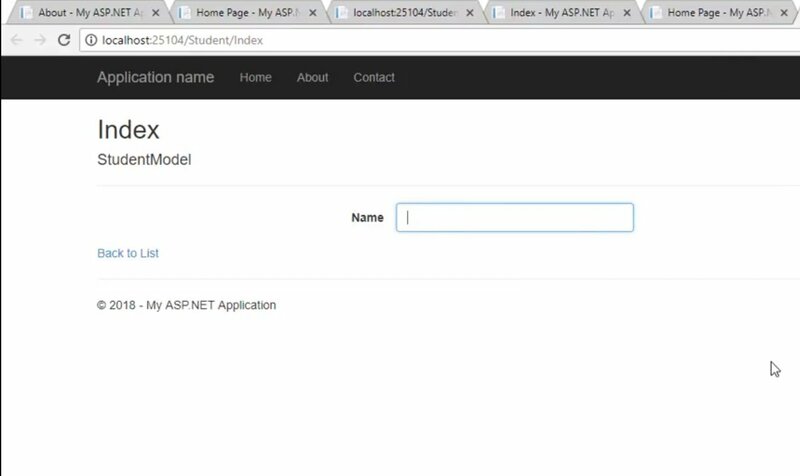 It’s 7th tutorial in ASP.NET MVC series and I am hoping you are learning from it. If you have any suggestions, then ask in comments and we will help you out. 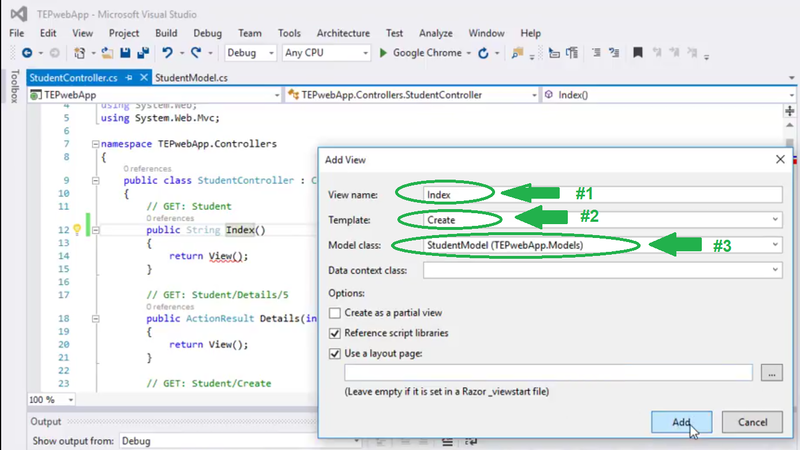 We have already seen How to create Models and Controllers, and now we need to create Views in ASP.NET MVC so that we could interact with our user. When a user sends a http request, then controllers get data from models and then display them on Views. So, in order to create a new View, you have to open the StudentController.cs file, which we have created in the last tutorial. When you click on Add View, it will open up a new window named “Add New”. This window is used for adding new View in your project. As you can see in the above figure, first of all, we need to give it a name, which I have used “Index“. In the Template section, I have selected “Create” template as I want to create a registration form. In the model class, we have to select the model, with which we will assign this View. So, here I have select the StudentModel, which we have created in our 5th Lecture. After these settings, click the Add button and in your Views folder, a new folder will open up named Student linked to StudentModel. Run your project and add /Student after your base name in the url, as we have placed this index file in the Student folder. Now let’s make some changes in the index file and get data from the Student Model. 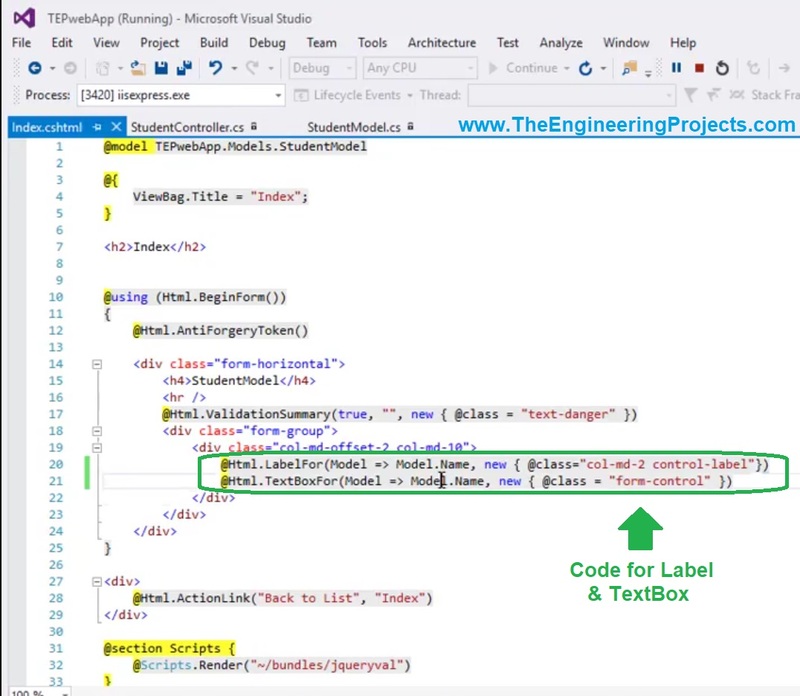 I have added two lines of code, the first line is creating a label and getting the text from our model class. I have removed the code for the Create Button, and added these two lines. That’s our final Index page for newly created View. Now, let’s keep it here for now and let’s discuss some more concepts in ASP.NET MVC. Till now we have seen what are Models, Views & Controllers and then we have also seen How to create them.